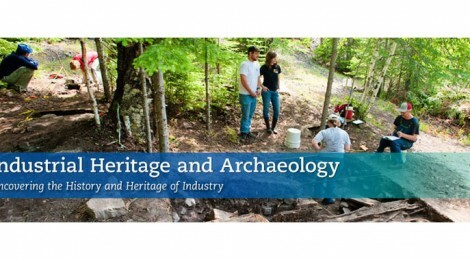 The Department of Social Sciences at Michigan Technological University invites applications for a tenured or tenure-track position in Industrial Archaeology (http://www.mtu.edu/social-sciences/graduate/archaeology/). The successful applicant will demonstrate an established research program in Archaeology, Anthropology, Historic Preservation, History, and/or Heritage Studies to contribute to the department’s established graduate program in Industrial Heritage and Archaeology. While the rank is open, we invite experienced and/or senior candidates who will add to the breadth of the archaeology program through a program of fieldwork, as well as a broad theoretical and substantive interest in topics such as industrial landscapes and communities, the processes of industrialization/deindustrialization, heritage and cultural resource management and interpretation. The successful applicant will teach graduate and undergraduate courses in their specialty area, as well as one undergraduate course that contributes to the University General Education program; a two-two teaching load is normal. The Department of Social Sciences is home to North America’s only graduate program focused on Industrial Heritage & Archaeology, offering both MS and PhD degrees The program began in the early 1990s and has been the institutional and editorial home for the Society for Industrial Archeology since 1995, with faculty serving in leadership roles throughout the succeeding years. The core faculty group includes archaeologists, anthropologists, historians of technology, environmental and architectural historians, and an historical geographer, embedded within an interdisciplinary Social Sciences Department that also includes political scientists, sociologists and both world and European historians. The Department offers undergraduate degree programs in anthropology, history, and social science in addition to the M.S. and Ph.D. programs in Industrial Heritage and Archaeology and in Environmental and Energy Policy. We contribute to campus-wide general education and collaborate with research partners across the university. Michigan Tech hosts the largest Peace Corps Master’s International Program (combining Peace Corps service abroad with an MS degree from MTU) and a new Office of Surface Mining VISTA Master’s program which combines one year of domestic field service in a former mining community with an MTU MS degree. Social Sciences faculty members are directly involved in the leadership and student supervision of both of these programs. Michigan Tech is a mid-sized public research university (RU/H) with approximately 7,000 undergraduate and graduate students from across the nation and around the world. These students enroll in 130 degree programs in arts, humanities, and social sciences; business and economics; computing; engineering; forestry and environmental science; natural and physical sciences; and technology. Michigan Tech is ranked in the top tier of national universities according to U.S. News & World Report’s “America’s Best Colleges 2015.” The student-faculty ratio is 13:1 and 49% of classes have fewer than 20 students. The university values cross-disciplinary faculty and student contributions to global sustainability. Michigan Tech is located in Houghton, in the heart of Michigan’s Upper Peninsula. Houghton was rated as the 15th Greatest Place to Live in America by Outside Magazine in 2014. It is also rated as a top summer travel destination, one of the Top 10 outdoor adventure spots in the country for our bike trails, and is well known for its Olympic-caliber cross-country ski trails, Lake Superior shoreline, and numerous inland lakes and rivers. Situated on the hills bordering the beautiful Portage Waterway and only minutes from several Lake Superior beaches, the area offers a bounty of cultural and recreational opportunities. The historic downtown waterfront provides unique shopping, dining, and cultural opportunities in addition to serving as the mainland headquarters for Isle Royale National Park. Local schools are known for their high quality and commitment to being one of the top five districts for student performance in the state of Michigan. The Houghton County Memorial Airport offers jet service to and from Chicago twice daily on United Airlines. This environment, combined with a competitive compensation package, results in an excellent quality of life. Applications will be reviewed starting Feb 15, 2015. Full consideration will be given to applications received by that date. Interested candidates should complete the online application at http://www.jobs.mtu.edu/postings/2486 and upload required materials including: (1) a letter of interest, (2) Curriculum Vitae, (3) research statement, and (4) names and contact information for three to five references. Letters of reference will be requested for candidates making the short list. Please direct inquiries to Patrick Martin at pemartin@mtu.edu or (906) 487-2070. Michigan Technological University is an Equal Opportunity Educational Institution/Equal Opportunity Employer, which includes providing equal opportunity for protected veterans and individuals with disabilities. Applications from women and minorities are highly encouraged by both the department and the institution. Michigan Tech acknowledges the importance of supporting dual career partners in attracting and retaining a quality workforce. Michigan Tech is committed to offering career exploration advice and assistance whenever feasible and appropriate at the University and in the local community. See www.dual.mtu.edufor more information.